The loss of a loved one is always a jarring experience. Forward-thinking estate planning, along with administration and litigation services as needed, eases that burden. Have you been treated unfairly in a real estate transaction? We aggressively stand up for your rights and find lasting solutions. Business disputes are highly disruptive. We solve them in the most expeditious manner possible that also upholds your interests. Silvio Nardoni has been practicing law in Glendale for over twenty years, and for more than thirty years overall. He approaches civil litigation, probate matters, estate planning, and other legal issues with attention to detail and a commitment to optimal results. As a former minister, he knows how to listen to clients like you. And as an experienced litigator, he knows how to assertively protect your interests. I have had the pleasure of knowing and working with Silvio Nardoni for almost 25 years. In that time he has represented members of my family as well as myself. He has always rendered both professional and competent services. He has always done well by us. I have also sent many of my own clients to Silvio for professional help and I have never received any negative feedback whatsoever from anyone whom I have sent to Silvio. He is just the best! 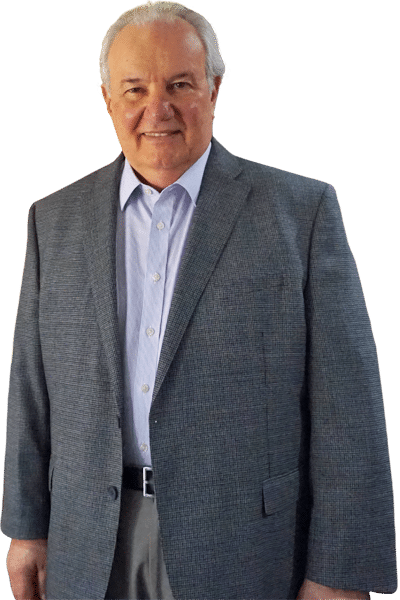 After many months of searching for the right attorney, Silvio Nardoni was highly recommended by the director of a well established Assisted Living facility. Silvio was the answer to my prayers. During the initial consultation, he listened to my case with precision, interest, and intelligence. I knew immediately he would yield high quality results to my case. I would highly recommend Mr. Nardoni to anyone seeking experienced, friendly and knowledgeable council. He is not only an extremely gifted lawyer but also a great friend. His expertise and attention to detail is second to none. Mr. Nardoni truly cares about the well being of his clients and it comes across as very sincere. I was very happy with Mr. Nardoni and I'm positive you will be too. Mr. Nardoni has handled our real estate transactions for over 20 years and has always responded promptly to our needs. We have recommended him to many of our friends and, without fail, their comment to us after meeting with him is “We’ve never met a lawyer as reliable or as friendly as Mr. Nardoni.” He constantly seeks win/win solutions and is one of the most ethical, compassionate human beings we know. It is a pleasure for us to unequivocally recommend Mr. Nardoni. I totally trust you. You have been our lawyer for decades. Your integrity and caring go beyond the call of duty. You have guided us legally with competence and knowledge. I feel so comfortable going to you with all legal matters and I know you will be an expert in helping us through any situation. You have done so many times in the past. Besides being a great lawyer, you are a great human being with a wonderful sense of humor. We have been dealing with Mr. Nardoni for many years. He has always been available when we need him. His responses to us are always positive. We recommend him highly as a responsible, agreeable and reliable person. He is knowledgeable in the fields that are important to our business and to us. We appreciate all that he does for us. Is it possible to challenge a will or trust? Generally under California law, the maker must have been incompetent at the time the instrument was made to overturn it in court. Usually between six and twelve months. An experienced attorney usually helps to expedite the process even further. Yes! Without an individual plan, the state makes almost all decisions concerning your heirs and assets. We make the estate planning process as easy as possible. Can I stop the other party from selling disputed property during litigation? Yes. An experienced and aggressive attorney uses tools like emergency injunctions to protect your rights. Are verbal agreements enforceable in California? In many cases, oral promises are just as enforceable as written contracts. We’ll go over the specifics during your consultation.